Prime Minister Theresa May’s aphorism, “Brexit means Brexit”, continues to baffle a country and a continent’s destiny. At the same time, it is turning into a creeping realisation that the British do not have the temperament nor the stomach to claw back some sort of membership of the European Union. Forty-two years as an EU member helped Britain to become great again, by connecting the country to bigger European opportunities. But being part of this supranational institution remains an unnatural alliance. The legal, political and economic intimacy that it entails still feels like sharing a bedbug. The effort to find a positive outcome to Brexit may make and break careers and continue to divide a nation for the next two, five or ten years, but the political fight to remain will not match the emotional instinct to leave. For the majority of the English, at least, being a member of the European Union is just not in them. Masters of the understatement in the face of victory or defeat, the British are, above all, rule makers. Battling out the nitty-gritty details of shared laws and compromising clauses that must also benefit the citizens of 27 other countries does not constitute the British brand of sovereignty, which is entrenched in its maritime and diplomatic preeminence of old. The irony of the Brexit triumph is that it will now relegate the British to the category of “rule-takers”; the terms of their access to the EU’s single market will be agreed upon by the EU 27 without them. Yet the British are showing that they inherently prefer to dust off their own rule book, circa the empire, and polish up their past lustre. “Inja” and Asia await. They chafe at the tedium of tending to the shared laws and regulations that link together the peace and prosperity of Europe’s mature economies. Not exactly swashbuckling stuff. For their part, India, Singapore, Canada and Australia will not serve as subalterns to a Britain outside the EU, however attractive its real estate. Meanwhile, re-igniting the home fires of English identity will not protect Britain from the consequences of European politics, which drew the country into two world wars in the 20th century. Nostalgia, and the desire to escape the stifling mantle of internal EU horse-trading is driving Britain to be in charge once again of pursuing its own trading partnerships. Brexiteers would rather be leading the Commonwealth than contributing to the European Union. Visions of new-found alliances between Atlantic, Pacific and Indian oceans, buttressed by antipodean co-operation, are a lot more appealing than battling EU bureaucracy to broach the Mediterranean. No need to defer to EU simultaneous interpreters, let alone learn another language, when emerging economies have sensibly adopted English as their operational lingua franca. The fact is that going it alone on the world stage and strengthening old trading ties reflects a yearning to re-define Britain as an independent member of the international class hierarchy that it once dominated. Britain’s ingrained system of birth-based rank has to a large extent softened its parameters over the last 30 years, yet it still unites many English, whether from the upper or working class, in their sense of superiority over anyone or anything foreign. 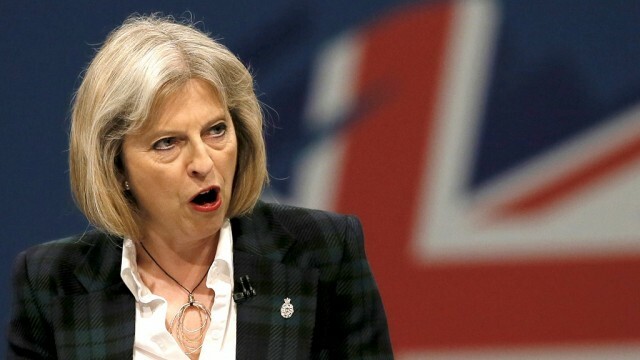 Meritocratic British Prime Minister Theresa May well understands the risks of relying on such far-flung, hoped-for prosperity, referring to China in a recent EU speech as a trading partner complete with “dumping policies, protective tariffs and industrial-scale industrial espionage.” The Opium Wars are one chapter in history the Chinese will never forget. For their part, India, Singapore, Canada and Australia will not serve as subalterns to a Britain outside the EU, however attractive its real estate. British private schools might thrive with their international students, but the intellectual software they nurture will return to prosperous and canny nation states or, like many foreign investors, go elsewhere, rather than park themselves at the guarded gates of the EU. Meanwhile, re-igniting the home fires of English identity will not protect Britain from the consequences of European politics, which drew the country into two world wars in the 20th century. Nor will it sustain peace in Northern Ireland, as the power-sharing Good Friday Agreement of 1998 was built upon an essential commonality between Britain and Ireland as inter-connected members of the EU. But even if Theresa May’s government struggles to deliver what Leave voters think they voted for, a majority of the British still appear to want their Sceptred Isle back, orb and all. They are ready to embark upon the high seas of this Brexit adventure, free from the flat-lining effects of neighbours bickering about refugee quotas, agricultural subsidies and carbon emissions. Membership of the EU was a blip in Britain’s DNA. The country had a go and, then, when asked a second time, decided no thanks.